"Indigenous women are beautiful and powerful and resilient. They are worthy, and they deserve to be moms to their children." When Dawn Lavand, who grew up in Winnipeg in foster care and disconnected from her Cree and Ojibwe heritage, gave birth at the age of 21, she didn’t have any other indigenous people present. 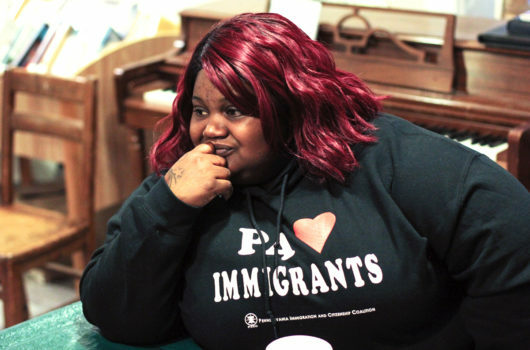 “I thought if I surrounded myself with enough white people, then I wouldn’t have a social worker come visit me and take away my baby,” she said. Many indigenous women in Manitoba live in fear that child and family services will take away their children due to allegations of substance abuse, neglect, or poverty. Indeed, this province has the highest rate of child apprehension in Canada, and around 90 percent of the kids in the foster care system are indigenous. “The stereotype is that indigenous women are disposable, their families are being raised in horrible poverty, they’re not capable of raising healthy robust children,” said Lavand. These racist stereotypes can make birth experiences intimidating and traumatic for many indigenous women, she explained. Since becoming a doula, Lavand believes that the training of indigenous women as birth-helpers changes the narrative of birth for indigenous women. During a birth, indigenous doulas may sing traditional songs, fan women with eagle feathers, and play drums. They are also there to help women interact with doctors and nurses and navigate the risk of child apprehension. What is so often a source of trauma, Lavand says, can be the foundation of a newfound source of strength. 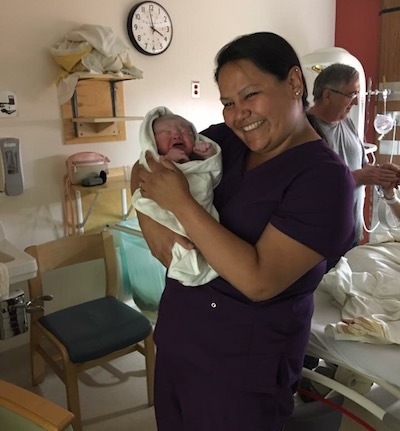 That is the essence of the Manitoba Indigenous Doula Initiative, which trains indigenous women in Manitoba to support other women in the Canadian province through their pregnancies. Communities are just beginning to understand the various benefits of doulas for indigenous women. Results from the pilot project show that indigenous doulas have the potential to address negative birth experiences and systematic biases in the health-care system, as well as to help indigenous women connect with the spiritual traditions around being a “life-giver,” described by Bluesky as the traditional roles and customs around reproduction in indigenous communities. The Manitoba Indigenous Doula Initiative is working to change that. Doulas are nonmedical birth-helpers, who are trained to support pregnant mothers before, during, and after birth. The training, developed by Bluesky and others, builds on top of Canadian doula curriculum and includes indigenous knowledge collected by Bluesky from grandmothers in the community. “The teachings that they pass on to us is what inspires the curriculum,” she said. “We are facilitators. We restore the women’s circles in the communities and help to reconnect those circles, and then it’s those women that teach each other. It’s magical to bring women into a circle and then, all of a sudden, the ceremonies are reborn again.” Every morning during the training, the doulas and their teachers perform a ceremony where they sing traditional songs and honor the sacredness of water. The initiative has trained 12 doulas as part of its pilot project and is now in the process of scaling up. The doulas attended a total of 23 births in 2017. In a project evaluation document, the founders reflected that one of the project’s goals was to make the community more aware of doulas so that people may be more likely to seek out a doula in their own pregnancy. In the document, the doulas who participated in the training expressed that the traditional indigenous teachers and ceremonies were the most valuable part of the training—affecting them professionally and personally. This coming year, 60 women from two remote communities, Cross Lake and Nelson House, will receive indigenous doulas through the initiative. A trained doula within the community will meet with them before and after birth and a “city doula” will be there for their birth in Thompson, Manitoba, where they will spend their confinement. University of Winnipeg professor Jaime Cidro is the principal investigator of the research project, funded by the Canadian Institutes of Health Research. Cidro said that it’s a “no brainer” that doulas help indigenous moms, but she wants to know the specific ways in which doulas are helping. “We need to make the ‘no brainer’ in line with evidence,” she said. She hopes that results from the project will help make the case for better funded prenatal programs and better access to doulas for women in Manitoba. A greater awareness about doulas and their benefits will increase demand within communities, and it is the hope of supporters that family advocacy and health organizations will then be more likely to invest their resources in staff doulas. Cidro and her team of mostly indigenous collaborators are looking at a variety of variables, such as prenatal anxiety, depression, interpersonal support, and ability to breastfeed. She is then going to compare the observations of mothers who had indigenous doulas with mothers who gave birth without doulas, to see the extent to which doulas make a difference. Cidro worked extensively with communities to understand what questions they were interested in asking—a dynamic she called community-engaged research. “The communities had specific things that they wanted to know,” she said. One thing that kept coming up was the apprehension of children by welfare services. While she isn’t able to look at this directly in the research, because it would expand the scope of the study, she says that its importance to communities is apparent. This doesn’t come as a surprise to Morgan, who says that on average one indigenous child is apprehended a day in Manitoba. “I was at the hospital one day, and in a matter of an hour and a half, they took five newborn babies,” she said. “Our elders say the most violent act you can commit to a woman is to steal her child.” Apprehensions are often a result of addiction, poverty, and trauma, which Morgan said can all be traced back to a history of discrimination and forced assimilation of indigenous people. “In Manitoba and in Canada, we’ve had 150 years of abducted children.” she said. “Children were taken from their communities by law and put in church-run residential schools. Over 150,000 indigenous children were removed from their families in Canada.” She says that the modern-day child welfare system amounts to a modern-day version of residential schools. There are many efforts to decrease child separations in Manitoba, which has the highest rate of apprehensions in the country, with about 11,000 children in care. One bill, introduced this year, would explicitly bar child services from apprehending children due to household poverty. Childhood separation in Native communities is an issue around all of North America. According to the National Indian Child Welfare Association (NICWA), American Indian/Alaska Native children are overrepresented in foster care at a rate 2.7 times greater than their proportion in the United States’ general population. “There’s really good solid evidence pointing to the tremendous bias in the system,” said NICWA Executive Director Sarah Kastelic, citing a 2007 study. Kastelic explained that there are a range of interventions that can help families struggling with poverty or substance abuse that don’t result in kids being apprehended. “There are ways that families and communities can wrap around those families to make sure those kids are cared for,” she said. One of the foundations of the Manitoba Indigenous Doula Initiative is the concept of harm reduction, in which expecting mothers who are struggling with addiction or domestic violence are met by a nonjudgmental doula. 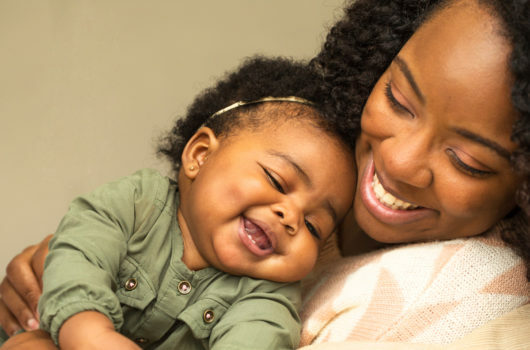 Bluesky refers to this as a “trauma-informed care approach.” In their training, doulas are taught that some pregnant women are not able to curb addiction, but there are supports that can be put in place to help promote health of the woman and child moving forward. Bluesky said that when an expecting mom has an ally, she’s more likely to make good decisions. “When mom has support and feels empowered, she’s going to fight harder to keep her baby,” she said.